Miami Federal Bail Bond Information for Miami Federal Bonds Miami, Broward, Ft lauderdale, Palm Beach, St Lucie county and nationwide. Miami Federal Bail Bonds is another type of bond which our Miami Bailbondsmen and Broward or palm beach county bondsmen can assist with. Whether you live in Miami, Broward, Ft lauderdale, West Palm beach, St Lucie County, Ft Pierce, Tampa, Orlando or any other county, our Miami Federal Bondsman can help…..Before posting a Miami Federal bond, there are some things clients should be aware of regarding Federal Bail Bonds in Miami Dade County or other Florida counties that differ from the common State or County Bail Bonds. At Mitch Bail Bonds .com, we can help you with your bailbonding questions and concerns ! The fact is that since Miami Federal Bonds are higher risk, a higher premium is required in order to post a Miami Federal Bond. Regular premiums on State and County Bonds is 10%, however, a premium rate of 15% is standard for Miami Federal Bonds. 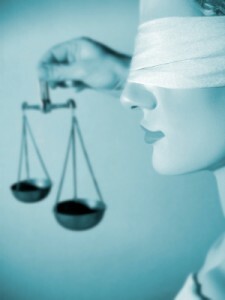 In addition, Federal Bail Bond Miami cases sometimes require a nebbia hearing…. You may ask what is a Nebbia ? Well…a Nebbia simply means that you must show the courts that the Federal bailbond premium and any collateral used for the Miami Federal Bailbond has come from a legitimate and legal gains. Our Miami Dade Bondsmen and Bailbonding Agency in South Florida can help obtaining a Miami Federal Bond. Contact our offices today…a Miami Florida bailbondsmen can help you post a federal bond any where in Florida State or other states in the United States. Our Miami Dade County Florida bail bond Company and Surety Bailbonds agents are very professional and experienced in this type of bond. Call the experts at bailbonding services…Our Bailsbond company has extensive experience in posting Miami Federal BailBond. We are also open 24 hours a day to serve every Miami Criminal Defense Attorney in Miami Criminal Lawyer or any other person needing to post a Florida Federal bail bond…..Do not put your trust in a company with no experience…..call the licensed and experienced agents that care ! Call our Miami surety agents today so that we may handle your case. Our Miami Dade bondsman will obtain all required bond paperwork for you and get to work immediately with your Miami criminal defense attorney or legal representative in Miami, Broward, Palm Beach or other areas…. Don’t delay….Call our Florida Bail Bond Company today. Agents are standing by and on duty..Our surety office is open 24 hours a day so contact a representative for free information…se habla espanol – fianza, fianzas, fiancistas de fianzas federales. Call our Miami bailbonding agency this very moment & a Miami Florida bondsman will get a person out of jail immediately…We offer a unique “pay bonds by phone service”……that allows our firm to post bailbonds in Miami, Kendall, Orlando, Coral Gables, Hialeah, Homestead, Ft Lauderdale, Tampa, Ft Pierce, Port St lucie, Broward, Palm Beach county, Sarasota, Lake Worth, Vero Beach, Fort Myers, West Palm beach, Collier, Indian River, Monroe, Lee, Brevard and Saint lucie county. Bail Bonding Services also available in Cape Coral Naples, Jacksonville, Tallahassee, Gainesville, Key West and all south Florida Bailbond service and nationwide. Get info on Miami Federal Bond ? ……Our Miami Dade Bondsmen can help you get out of jail today …post a bond online with our website !